I thought I'd make a friend of mine a pretty but functional gift when she moved house. 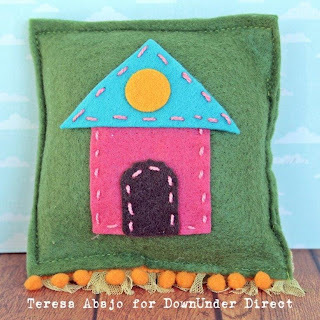 Here's a house-themed pin cushion for her new craft space. The roof is made from a square shape that is cut diagonally in half, and the door is a Labels Four shape with the bottom cut flat. 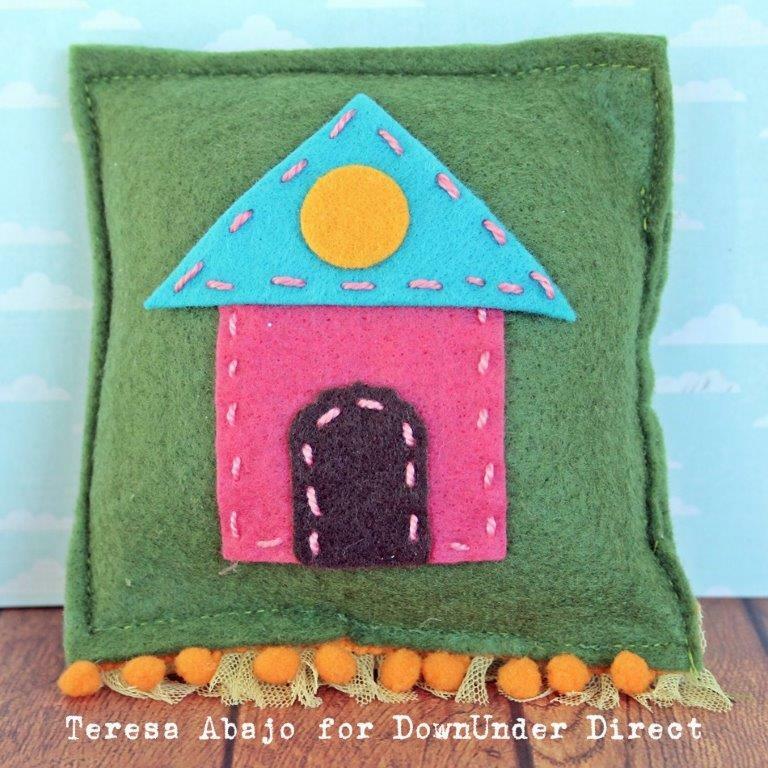 The hand stitching helps add a happy naïve look to the house.